Running an animal rescue is expensive. Vet bills need paid, just about every homeless animal comes in un-spayed or neutered, in need of vaccinations. If there is an actual shelter building, there are utilities to paid. Telephone, electric, heat, water and other shelter related expenses. Staff salaries are also a big expense to shelters. Food, medications, etc. The list goes on and on. All of these expenses means that fundraising is, unfortunately, an integral part of animal rescue. Again, unfortunately, most animal rescues and shelters get little to no money from the government. That means, that that almost all of their income is from private donations, adoption fees (which rarely cover even the cost of vetting for that animal), and fundraising. So fundraising tends to be the bulk of the income. Most shelters use the traditional fundraisers, such as letters asking for donations. Yard sales, bake sales, applying for grants, these are all standard fundraisers for animal rescues. These are all great fundraisers, that done right can bring in a little income for the animal rescues. If they have a small games of chance license, lotteries are common. Lotteries are a great way to fund raise. There is little expense. The tickets are usually very easy to sell. Who doesn’t want a chance to win cash or prizes, on a little donation to a charity? Parties, with cover charges, and some type of auction are another popular fundraiser in animal rescue. These tend to be a lot more work, soliciting items for auction. Not to mention, planning the event itself. Finding reliable volunteers to work. But the payout for these type of fundraising events is greater. Motorcycle or ATV runs are also a great higher payout event to raise funds for animal rescues, or any charity really. Although these events are limited, and can be hindered by the weather. One of the great things about fundraising for an animal rescue is that a lot of times you can think outside of the box. Turn the normal fundraisers into adoption events. Get the animals involved and out in the public eye. 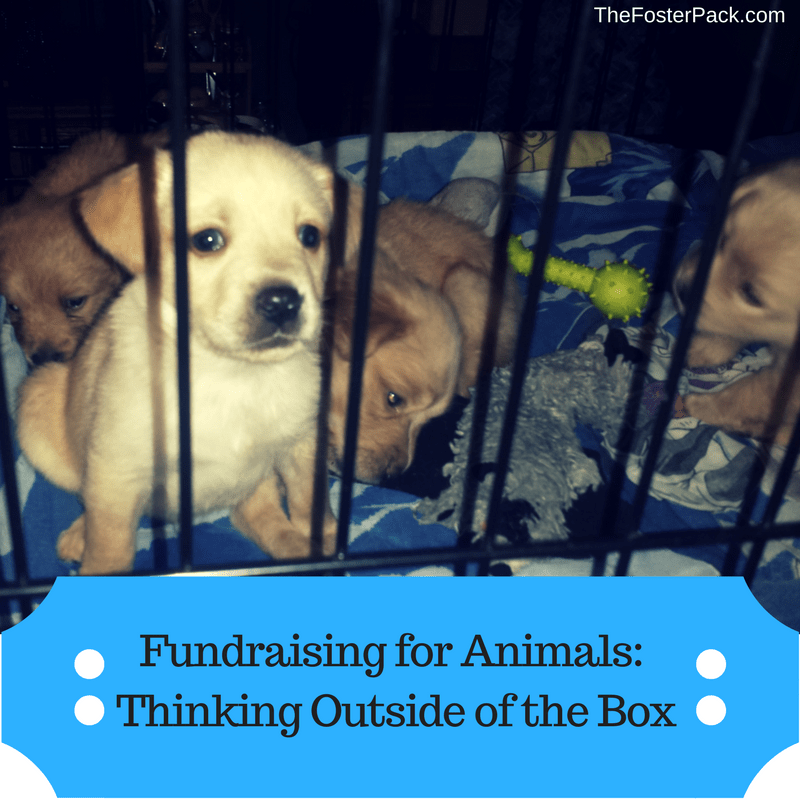 Over the next few posts, we’ll be talking about thinking outside of the box about more ways to fund raise for animal rescue. Have you done any unusual fundraisers for an animal rescue near you?